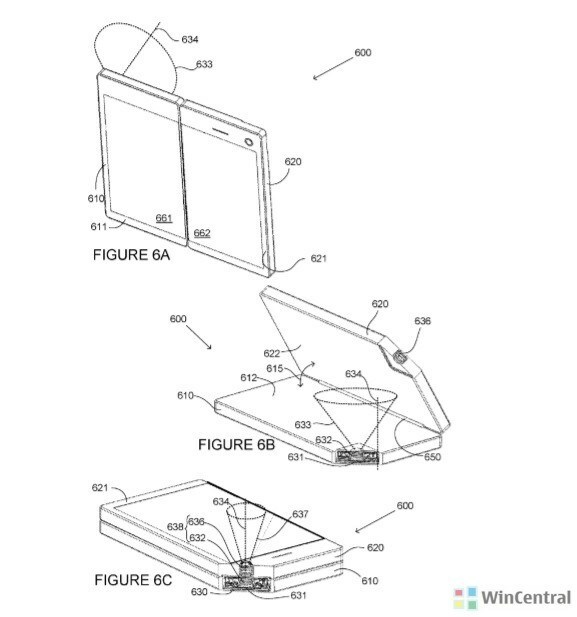 Microsoft's Surface Phone Can Feature A Cool Folding Camera Setup If These Patents Bear Fruit - Take A Look! Microsoft’s Surface Phone Can Feature A Cool Folding Camera Setup If These Patents Bear Fruit – Take A Look! 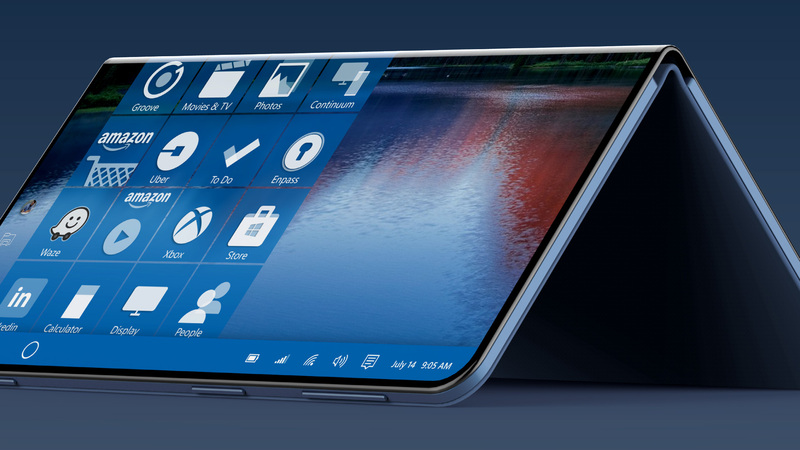 Ah the Microsoft Surface Phone. It’s one device that is a rumor mill exclusive. The smartphone ‘surfaces’ here and there, yet Microsoft doesn’t provide us with any concrete details. Redmond’s success with the Surface Pro and Surface Books has led a lot of folks to believe in the Surface Phone. And it’s this belief that leads to consistent rumors for the device, despite no credible evidence pointing to its existence. Today, we’ve got two Microsoft patents that can highlight the company’s direction with the Surface Phone. Take a look below to find out more. If there’s one thing that’s working in Microsoft’s favor right now w.r.t the Surface Phone, it’s hype. The continuous silence for the device and its rare appearances on the rumor mill have lent the smartphone a mythical status. And today, we’ve got more details for this myth. 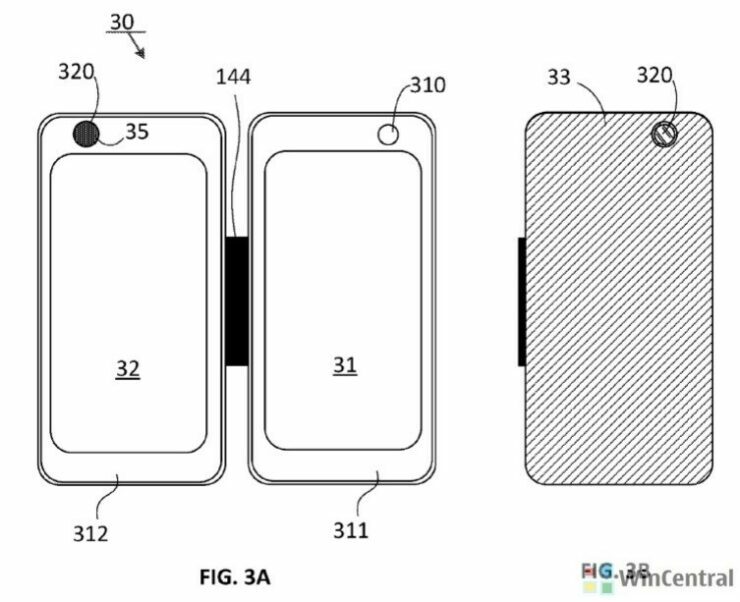 Microsoft’s been granted two patents, both of which relate to a camera setup for a folding smartphone. One of these works using a magnet, and the other works using a mechanical flap. The first is a really cool concept which allows two different camera modes on the smartphone. As you’ll see in the first image below, an image and optical unit both have magnets connected to them. The device is able to function using either of them standalone. Once connected, the pieces are held together by their magnets and come together to form the second operational mode. The second patent uses a similar idea, but replaces the magnets with a mechanical latch. Over here, the smartphone once again operates in two possible modes. One of these is when both the parts come together, and the mechanical flap exposes the second camera element. In the other, the mechanical flap conceals the second camera elements and both the elements are positioned away from each other. As interesting as this sounds, the big question still remains. Will Microsoft launch the Surface Phone in 2018? And if so, then when? Just a week back an apparent job posting kicked off speculation for the smartphone. We’re all hoping this speculation bears fruit. After all, the Surface Pro and Books are excellent devices. Thoughts? Let us know what you think in the comments section below and stay tuned. We’ll keep you updated on the latest.